How Many Watts does a Gaming Laptop Use? Gaming laptops are a marvelous miracle, aren’t they? Having a laptop that can handle almost all the games that your PC does and still be able to carry it around in your backpack is a technical and engineering feat in itself. 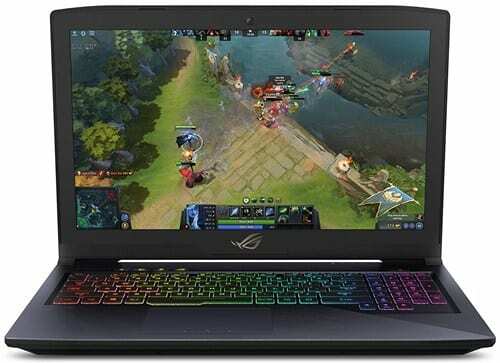 Since the performance of a gaming laptop is getting almost similar to modern gaming PCs, Gaming Laptop’s power usage happens to be the primary concern for numerous users. Several folks buy gaming laptops to save on electricity bills, while still can move around their machine. In case you want to know, how much power does a gaming laptop draw; then you’ve landed on the right page. 1 How Many Watts Does a Gaming Laptop Use? 1.1 How Many Watts Does a MacBook Pro Charger Use? 1.2 How Many Watts does my Laptop use? Well! It depends on several factors. For starters, to find the maximum wattage that your gaming laptop will consume, just check the wattage ratings on the charger. A favorite gaming laptop like Acer Predator Helios 300 comes with a 180Wh charger. This indicates the max power consumption by the laptop will never exceed 180W per hour. Yet, the rated maximum power for Acer Predator Helios 300 is 135W. Hence for any given time, your gaming laptop will not surpass its maximum rated power or for another instance; it will never be higher than the capacity of the charger itself. To make things straightforward, let’s jump onto a very known and popular laptop. How Many Watts Does a MacBook Pro Charger Use? As we all know, MacBook Pro is one of the most influential and powerful laptops. 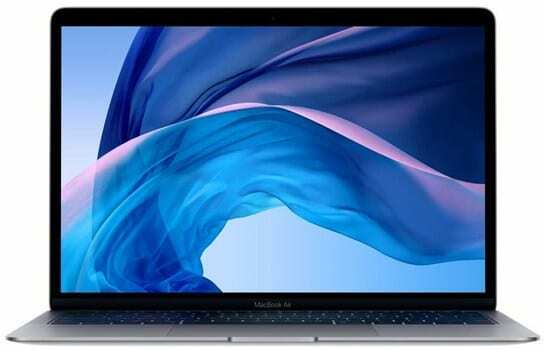 The latest 13” version of MacBook Pro is supplied with a 61W USB-C Charger, whereas the 15” version is supplied with an 87W charger. Hence at any given time; the 13” MacBook Pro will not consume more than 61W of power and no more than 87W for the 15” version. For a broad idea; on idle the 13” MacBook Pro has an average power consumption of around 13W and while in sleep, the power consumption drops down below 1W. But most of these power consumption values come from the battery; however, when it comes to gaming laptops, the majority of them are connected to the charger during gaming sessions. How Many Watts does my Laptop use? Most manufacturers don’t show the actual power consumption of their gaming laptop or do not mention the rated Watts on the charger in the specifications page too. It’s only after you’ve purchased the laptop, you can notice the Watts on the charger itself. However, to solve this issue, there are two easier alternatives. In a gaming laptop, the two highest power consuming components are CPU and GPU. Manufacturers of all CPU and GPU list out the Max Power Consumption (TDP) in their specifications. Let’s take an example of another popular gaming laptop, i.e. Asus ROG Strix Hero Edition. The CPU and GPU in this laptop are Intel Core i7-8750H and Nvidia GTX 1050 Ti respectively. If you check the official specifications of Intel and Nvidia, you’ll find the power consumption of both the components. The TDP for CPU is 45W and for GPU is 75W, and when added results in 120W. While the laptop is in load, the power consumption of these two components increases by around 10-15%, whereas on idle it can be as low as 10-15W. Considering the other components in the laptop like Screen, Keyboard, RAM, Wifi, HDD/SSD, the total power consumption can anywhere be between 135W-150W on load. Even the Full HD screen’s power consumption varies from 0.5W on idle to 5-15W on full brightness. Considering a 4K display, then the power consumption will be higher. However, to be true; it’s tough to calculate the exact power consumption of each component in a laptop. Yet if you want to know the whole power consumption; then jump onto our next method. If you’re unhappy by mathematically calculating electricity usage, then an Electricity Usage Monitor like P3’s Kill A Watt can exactly compute how much power your laptop is drawing from the wall socket. A device like this can be used to monitor the power consumption of any electrical device or appliance in your house. All you have to do is attach the Kill A Watt device to your wall socket and connect the laptop charger to the 3 pin socket in the device. On a device like P3 Kill A Watt, you can check various factors like Volts, Ampere, Watts, Frequency and so on. Basically, if you’re using a regular laptop that is low on battery and you connect it to a 60W charger via Kill A Watt. Until the time the battery is charged, the Electricity Usage Monitor will display the value as 60W because the battery is being charged at that rate (with minor fluctuations). Once the battery is charged, the laptop will then draw power directly from the charger rather than the battery, and you can notice how much power your laptop draws in real time. However, the major USP of this device is that it tracks the KWh usage till the time a device is plugged into it. So let’s say you connect your gaming laptop to a charger via the Kill A Watt device and you do gaming session for around 6 hours. The device will record the power usage for the entire 6 hours and show you in KWh rating. To know the exact cost of using your laptop for 6 hours, you can check this simple calculator. To understand the basics of power consumption of different electronic devices, you should check this excellent article on Forbes.com too. Manually it is hard to calculate the exact power usage, yet you can still find an average power consumption value or max power consumption value. However, to be conclusive, an Electricity Usage Monitor like P3 Kill A Watt will help you decide how much power your gaming laptop is drawing in real time. If you liked this article, then please don’t forget to share it on social media platforms like Facebook and Twitter.